All cells need to be responsive to their environments, whether that environment is the pond-water habitat of a Paramecium or the thousands of other cells that a single neuron communicates with every second. Transcription factors are a central feature of this responsiveness. The hormone-receptor complex mentioned above provides a model for understanding how a cell can coordinate its gene expression with external events. The hormone acts as a signal that a change has occurred in the outside world that requires action by the cell, whether it be to grow or divide, or to release its own hormone. A key feature governing a cell's repertoire of responses is the set of receptors it makes. Cells that should not respond to testosterone need only ensure that they do not make the testosterone receptor—a decision itself governed by the presence or absence of other transcription factors. Hormones are not the only type of signal possible. Cells have complex networks of signaling pathways that help to regulate their actions. A helix-turn-helix motif. 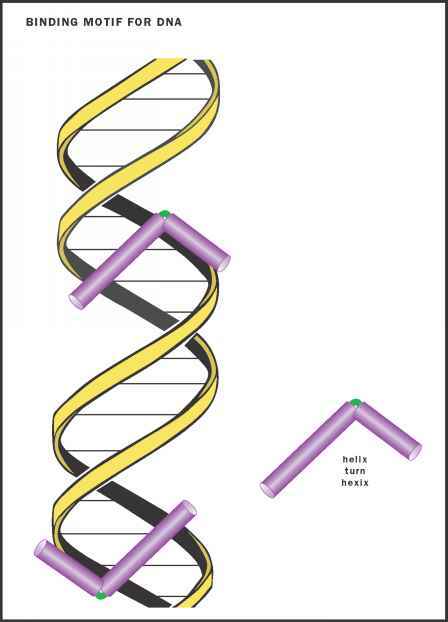 Note how one of the two helices (barrels) fits into the major groove of the DNA double helix. The rest of the protein (not shown) aids in binding to the DNA, and interacting with other factors. Adapted from <http://www.micro.iastate .edu/~micro320/Lecture 23/hth.html>. The exquisite coordination of cellular processes needed to maintain life might be likened to a symphony, in which the many different instruments must play their parts in time with all the others. The timing of gene expression is one of the great puzzles of understanding life: How does each gene get turned on and off at the right time? Although transcription factors are clearly an important part of the answer, they themselves are proteins—the products of genes that must be regulated by yet other transcription factors. The way out of this paradox is to remember that each organism does not arise from nothing, nor does it spring forth fully formed, with all of its parts fully functioning. Rather, it develops from a preexisting cell, with a specific set of transcription factors in place to turn on a specific set of developmental genes, many of which are themselves transcription factors that turn on other genes. Although this is only the barest outline of an explanation that is still being worked out, it is clear that the pulsing interplay of transcription factors is a central feature of life's coordinated complexity. see also Development, Genetic Control of; DNA Footprinting; Gene Expression: Overview of Control; Hormonal Regulation; Proteins; RNA Polymerases; Signal Transduction; Transcription. Semenza, Gregg L. Transcription Factors and Human Disease. Oxford, U.K.: Oxford University Press, 1998. Weinzierl, Robert O. J. Mechanisms of Gene Expression: Structure, Function and Evolution of the Basal Transcriptional Machinery. London: World Scientific, 1999. Dutnall, Robert N., David N. Neuhaus, and Daniela Rhodes. "The Solution Structure of the First Zinc Finger Domain of SWI5: A Novel Extension to a Common Fold." Structure 4 (1996): 599-611. 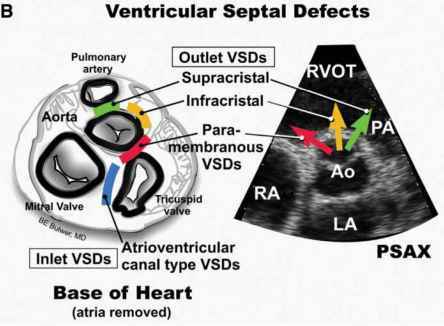 <http://baldrick.ucsd.edu/~dutnall/ StructureDisplay.html>. TRANSFAC: The Transcription Factor Database. GBF-Braunschweig. <http://transfac .gbf.de/TRANSFAC/>.